Natural carpets are a beautiful asset to any home, they create natural comfort within a room and are easy to maintain, lasting you longer than any alternative carpet fabric. So now you have your new wool carpets, you need to learn its special cleaning requirements and understand how to carry them out, as they are rather different to how you would clean any other carpet. Brent Carpets are going to share with you how to best clean your natural carpet in order to maintain their excellent quality and durability. Starting with the basics, regular vacuuming is essential for the longevity of your carpet. Each household has different circumstances which affect how often you should be vacuuming. For instance, if you have a pet, you may find that you have to vacuum daily in order to keep the pet hair under control. You may also find that high traffic areas require more vacuuming, such as the kitchen or the hallway. Regular, thorough vacuuming will remove as much dirt and soil as possible from the carpet before they become deeply embedded in the fibres and are much harder to remove. 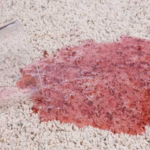 Stains and spillages on a wool carpet are a disaster! Once something is spilt on them, a stain can very quickly appear and be extremely stubborn to remove. So, the most important thing to remember is to remove the spillage as soon as it happens. 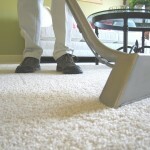 Spillages will set into a natural carpets much faster than any other fabric, so it’s vital to act as quick as possible. 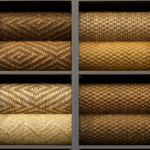 To avoid causing any damage to the construction of the fibres, natural carpets can only be dry cleaned. The usual hot water extraction method cannot be used on a wool carpet. This is because they are primarily made from read, which is essentially paper. So any exposure to heat will have a shrinking effect and leave obvious water stains on the material. Think about how some items of clothing need to be washed on a cooler setting to avoid damaging the material, and if it is washed on a hot setting your clothes are at risk of shrinking. Well a natural carpet works in exactly the same way. So how does dry cleaning actually work? The cleaner will come in either a powder or granule consistency. Once this is spread over the carpet, it will sink right down to the base and begin to breakdown any soil and dirt. The dirt will then dissolve and be absorbed by the cleaning agent. The remains can then be sucked up with a vacuum cleaner. Using this method is proven to be very effective and convenient. As soon as the cleaning has been done, the carpet will not need to be left to dry for any period of time as it will be completely dry. DO NOT use any harsh or abrasive solutions on the carpet as wool is a very delicate, natural material and can be damaged by any bleach or brightener solutions. If you begin looking after your wool carpet using the hints and tips we have shared with you today, you can enjoy the benefits of your lovely natural carpet for longer, preserving its newness and freshness. For more information about natural carpets, please get in touch with the team here at Brent Carpets today. We are the experts in supplying and fitting your premium natural carpet, whether it’s wool, seagrass, jute or coir.